By winning the prestigious poker tournament Player's Championship in the 2015 World Series of Poker (WSOP), Mike Gorodinsky has just claimed the lead in the current Global Poker Index-WSOP Player of the Year ranking with 1,771.21 points. The talented poker pro actually cashed a whopping payday of $ 1,270,000 for his victory. He also notched some excellent ITM places in other high buy-in events in the same festival, namely a 2nd-place finish in the $ 10,000 Raaz Championship, and a 3rd-places in the $ 5,000 No-Limit Hold'em Six-Handed. Admittedly, well deserved is his 1st position on the list. At the Player's Championship event, Mike Gorodinsky grabbed the title by crushing heads-up rival Paul Volpe. The latter now sits on 2nd position with some hundreds points less than the leader. Of course, he will need more wins to be able to go back on top. As for Brian Hastings and Stephen Chidwick, they respectively secure 3rd and 4th position in the race. Hastings finished 11th-place in the High Roller For One Drop while Chidwick wrapped up two other ITM finishes. Rounding out the Top 5 is Shaune Deeb. Shaunes biggest finish this summer is a 8th-place in the $ 10,000 Pot-Limit Omaha Championship. 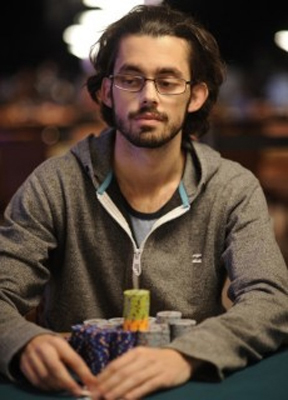 Ranked 6th is Jason Mercier with his runner-up place in the Event# 54. Olivier Busquet follows thereafter at 7th position by finishing in the money at the $ 1,500 No-Limit Hold'em. Byron Kaverman, for his part, is ranked 8th position. Phil Hellmuth comes in 9th position for a 6th-place shoot in the Event # 58. Mark Radoja completes the Top 10. It is worth mentioning that the ongoing WSOP festival has already 57 events being concluded. The highly-anticipated Main Event will take place in a couple of days.